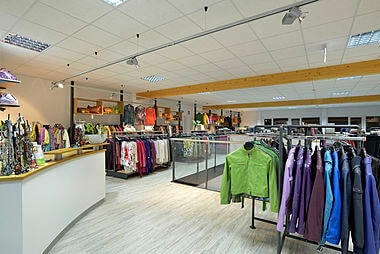 The Stilreich shop, our company's own modern fashion house, offers our customers a stylish selection of top quality second hand goods, complimented by new merchandise and remaining stock from all brands, in spacious, bright and modern rooms on two floors that cover 350 square meters. We offer our customers up to 10,000 items at unbeatable low prices for all occasions and needs - from recreation, sports, workplace, business or festive evening events. 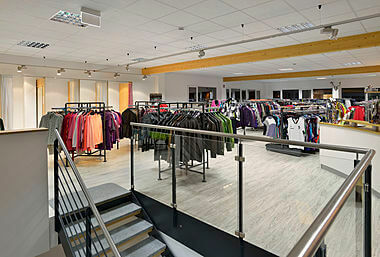 We have clothing for women, men and children of all ages and in all sizes, plus bags, shoes and accessories. Our customers can be relaxed and comfortable as they hunt for bargains, but are welcome to take a break too. There is a sufficient amount of parking right beside the building and the shop is a short distance away. 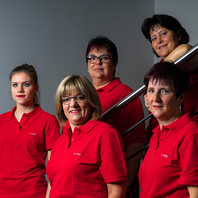 Shop Manager Anita Löser and her team of four trained and qualified salespeople await you in a modern shopping atmosphere, and are happy to answer any fashion questions that you may have. 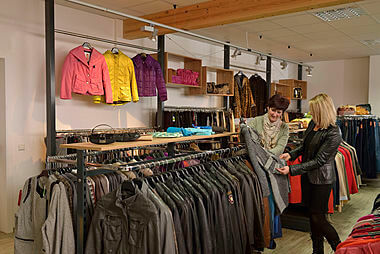 After shopping at our Stilreich shop you can pay conveniently with cash or a debit card. 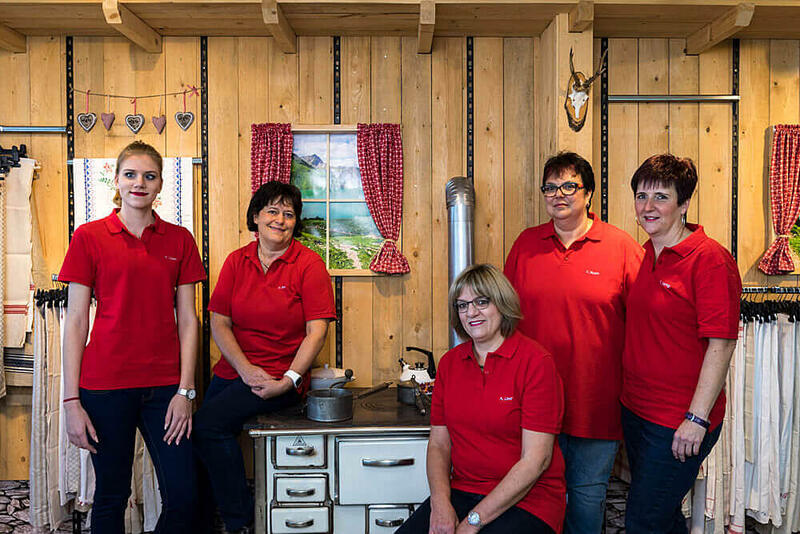 Customers will find a large, wide and affordable assortment of items for the whole family in the land of style located on the two floors of our Stilreich shop. The shop is divided into four areas. 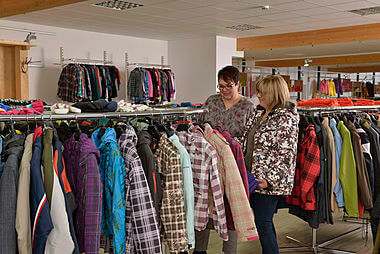 • The second hand shop features second hand clothing for women, men and children in rooms made to have a feel-good effect. 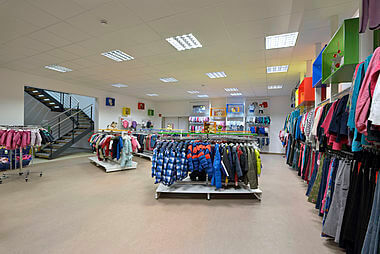 • Our Kids by Stilreich shop with low priced new merchandise and sorted used clothing for children. • The event shops with markets for different seasons; the carnival market in the "fifth season", the spring sports market, the traditional costume market in spring and late summer, or the nostalgia market in fall. • Our promotional goods are offered at special prices. 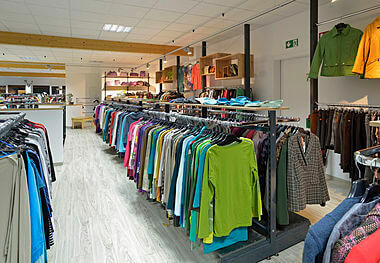 "Stilreich" your second hand shop from Striebel Textil has second hand clothing for all ages and occasions. Get bargains in the land of styles. Visit us!